Max Maxwell’s multidisciplinary artistic career began as a creative assistant to Brian Eno. During this time, Max oversaw the lighting and set designs for a series of live musical performances, subsequently developing an interest in light projections and sculptural forms. A series of projects followed with Maxwell creating concepts for music videos, contemporary dance, exhibitions and site specific installations for a diverse series of clients including Amnesty International. 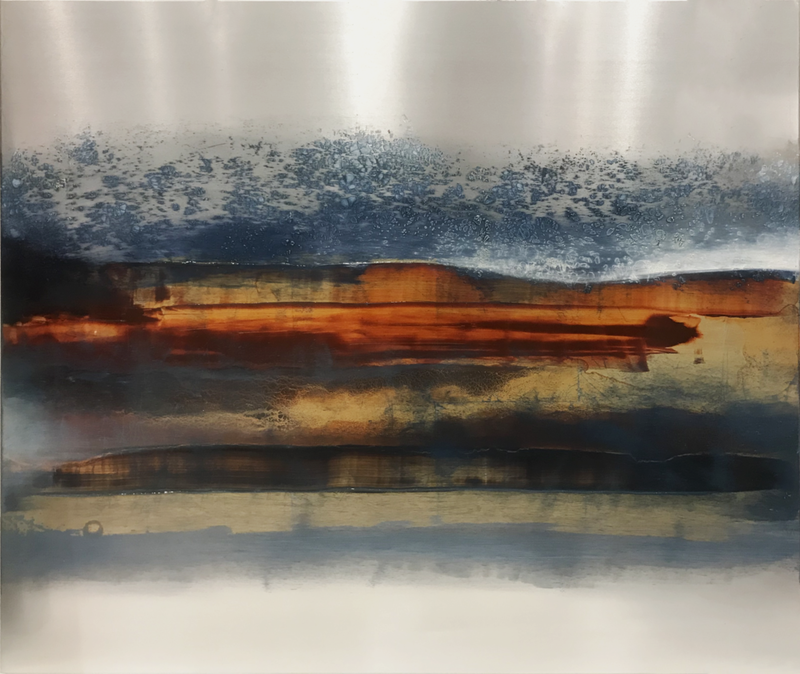 His experimenting with the transformation of metals began in 1995, favouring the process of electrolysis to carefully manipulate and alter the materiality of his subject matter. This paired well with Max’s interest in video installations, which he uses to capture the fine details of chemical reactions unseen to the naked eye. Maxwell’s work has been exhibited internationally in group and solo shows, and also selected for the Cannes Film Festival in 2011. Click here to download a pdf version of the catalogue, or please contact the gallery at info@no20arts.com to enquire about a paper copy.